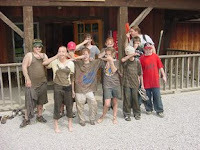 Sixth Grade Outdoor Education Camp at Oty Okwa is March 26 - 28. The video below shares some pictures from our one day trip in October. We are back with a few bruises, scrapes, and a little poison ivy, but a good time was had by all. The Laurelville students did an awesome job facing challenges, and working with their group to succeed. GREAT JOB, LAURELVILLE SIXTH GRADERS! A special thanks to all of the staff members who made this possible including Mrs. Griffey, Mr. Congrove, Mrs. Stevenson, Mrs. Blubaugh, Mrs. Cartee, Mrs. Bower, Ms. Fraley, and Mrs. Caudill. Also thanks to our special guests, Mr. Guthrie, Deputy Thomas, and Ms. Bowlby. As part of the Sixth Grade Outdoor Education Camp experience, students must cooperate and work as a group. In order to prepare students, they will have several opportunities to work together, and get their group ready for camp. After making the lists, students then shared their top three with the entire sixth grade class. Their lists were interesting, and the groups worked well together. Below is a compilation of the lists. All thoughts in the sixth grade are centered around Sixth Grade Outdoor Education Camp at Camp Oty Okwa. Tonight (5/19/08) is our parent informational meeting at 6:00 in the cafeteria. Students will receive their Camp Book at this time. 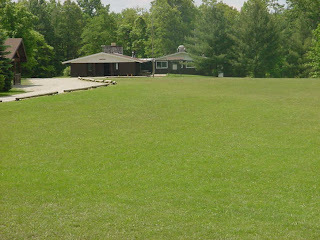 It includes a schedule of activities, supplies needed, camp rules, and camp groups. Sixth Grade Camp motivates students to work as a group member to achieve common goals. Activities also push students to achieve individual success and overcoming fears to reach goals. PLUS, CAMP IS THE MOST FUN YOU CAN POSSIBLY HAVE IN SCHOOL!